Turns out the only thing holding that case in place was a blob of hot-melt glue on the bottom of the PCB. 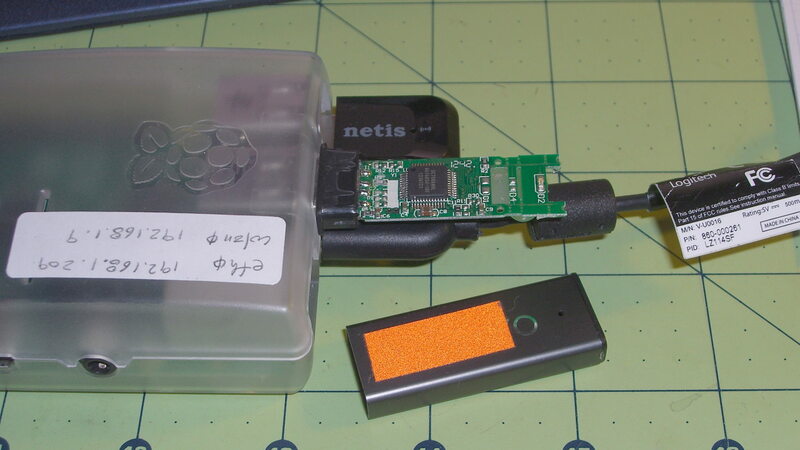 Hot-melt glue doesn’t bond well to anodized aluminum, the RPi had been sitting outside on a winter day taking time-lapse bird feeder pictures, and the USB connector seemed a bit more snug than usual. So I slobbered more hot-melt glue on the end of the PCB, jammed the case back in place, and that was that. The PCB has two snap lines to accommodate shorter cases, with corresponding activity LED locations; it seems I got the long-case version.